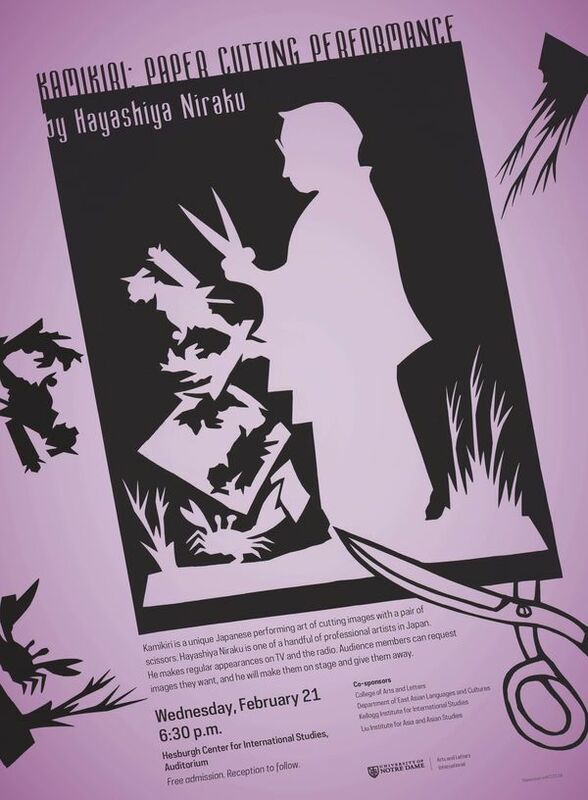 A famous Japanese kamikiri performance artist, Hayashiya Niraku, will be visiting Notre Dame on Wednesday, February 21, 2018 at 6:30pm. This event is free and open to the public, and will be followed by a reception. 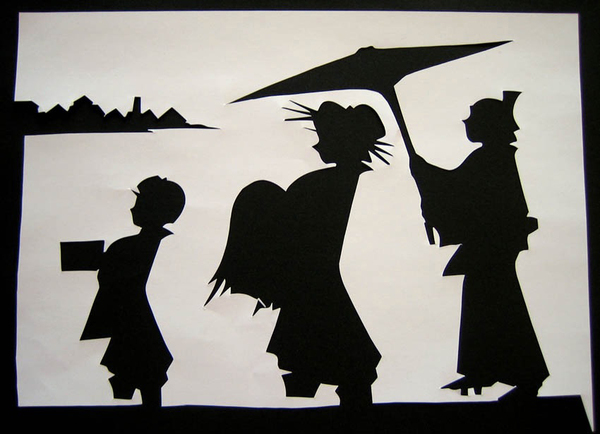 Kamikiri, which literally means “paper cutting”, is a traditional Japanese art that involves making delicate cut-out on a single sheet of paper. Niraku combines this art form with his performance skills to tell stories with the images he creates. He also takes requests from the audience, transforming their ideas into paper cut-outs right before their eyes, and giving them unique souvenirs of the experience. 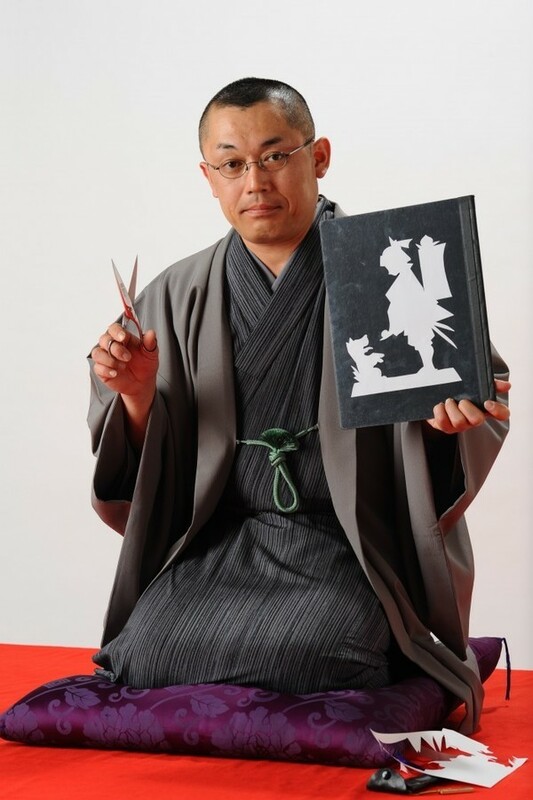 As an artist, he must maintain a breadth of knowledge about current topics, and use his imagination and paper-cutting skills to transform the paper into anything the audience desires. Hayashiya Niraku is one of a handful of professional kamikiri artists in Japan. He makes regular appearances on TV and radio, and tours across the world to give kamikiri performances. See poster below for more information.